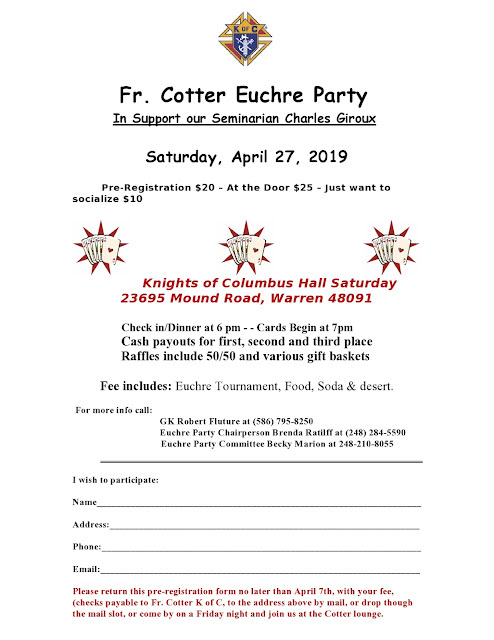 Just for fun & fellowship! Favorite snack to share is welcome. 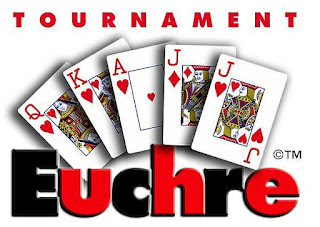 Euchre at St. Kenneth Catholic Church. 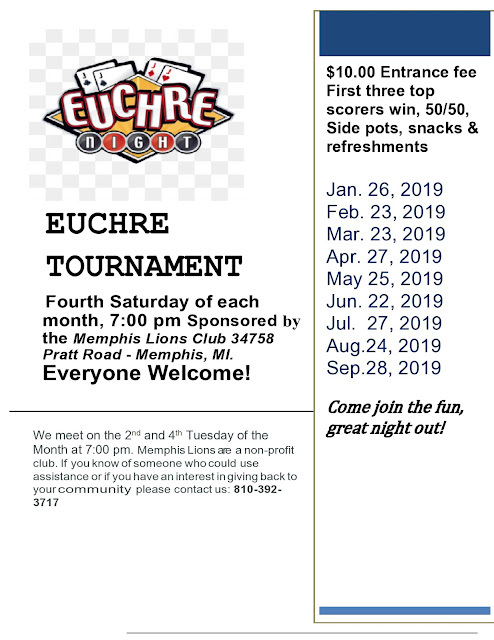 This event is scheduled for every third Saturday of the month, except June and December! Pizza is half off & well drinks are $3! 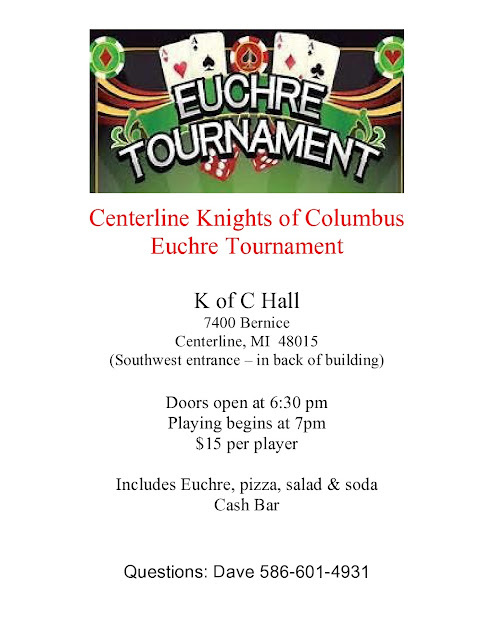 If five tables, first place will be $100 minimum. 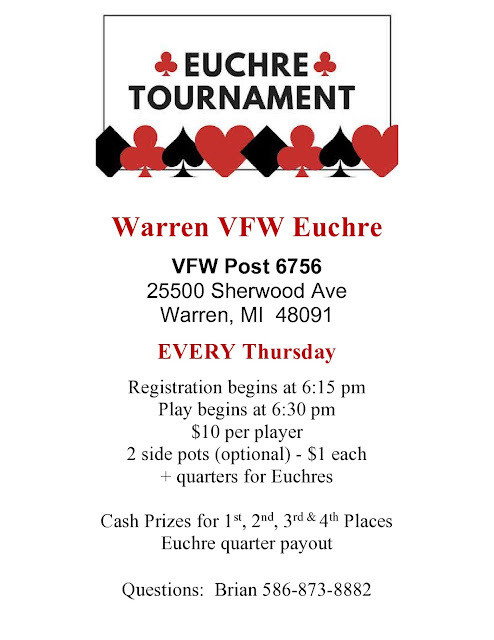 One $5 in quarters winner randomly selected. 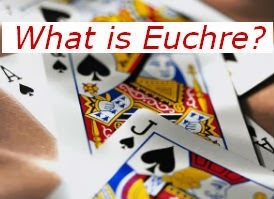 It seems that us Euchre lovers can’t get enough!! 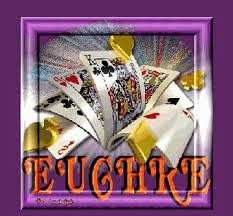 … and are always looking for Euchre tournaments in the Metro Detroit area. 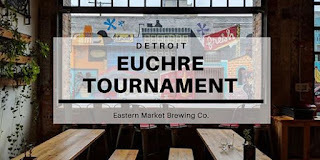 If you are planning a euchre tournament or know of some other good locations in the Metro Detroit area, let me know and I'll post it for you. **Note** I have not attended most of these so cannot recommend one over the other. Try them out for yourself and see which ones you prefer. 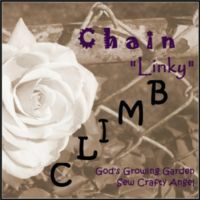 Leave a comment to let others know. 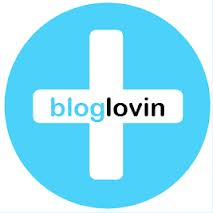 I verify dates when I post them, but changes can occur that I am not aware of. 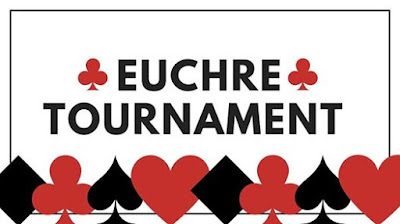 If you are traveling a distance for an event, I would suggest calling first to be sure they will be playing Euchre that day. 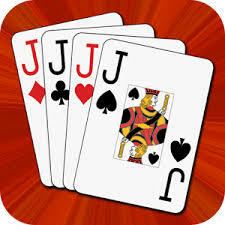 Cost: $10.00 plus Optional Side Pots @ $1 each for Most Loners, High Game & Mid-way scores. 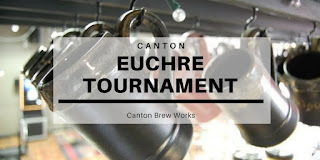 Cash Prizes: 1st, 2nd & 3rd places. 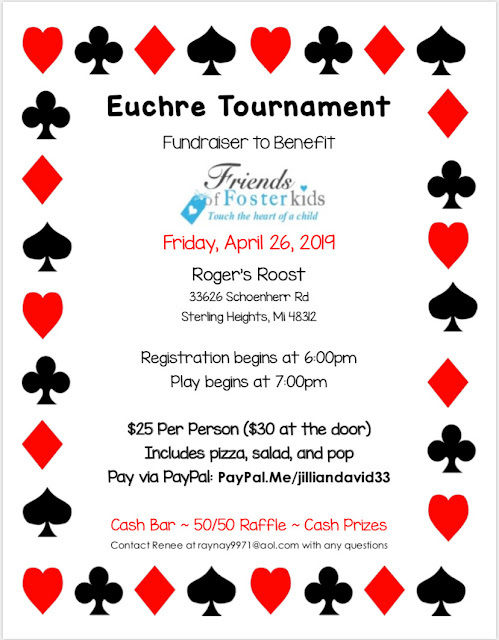 Most Loners, High Game & Mid-way prizes paid from optional side pots. 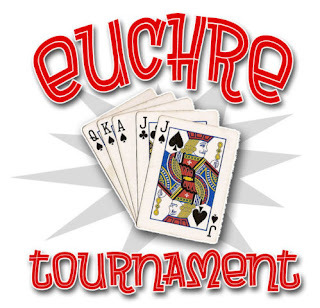 Experienced Tournament Euchre players welcome. 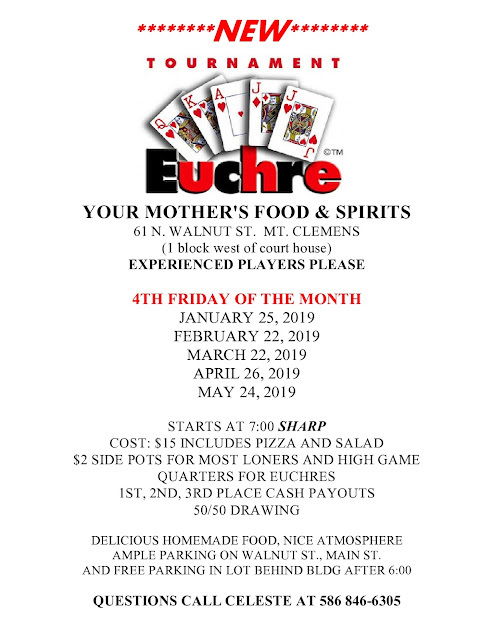 Some food & drink specials for euchre players. 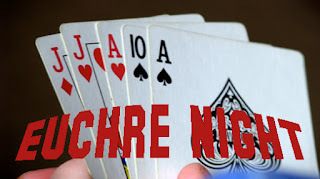 Play five games guaranteed, with prizes for the top finishers. 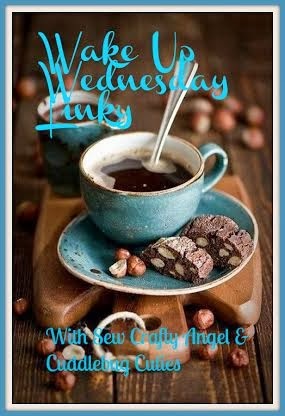 Bring a snack to share! 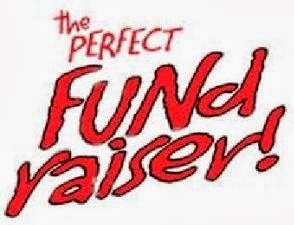 Food and drink are also available for purchase.